Dhrupad meeting with the Gundecha Brothers in Madrid organized by Aushadi Escuela de Yoga. 14th to 17th april 2016 in Madrid, Eva Espeita and Aushadhi School of Yoga are organizing which it is becoming, since last three years, the annual meeting with the dhrupad maestros Gundecha Brothers. (Ramakant and Umakant, vocalists and Akhilesh Gundecha, pakhavaj player). Please contact with contacto@aushadhiyoga.com for registration. 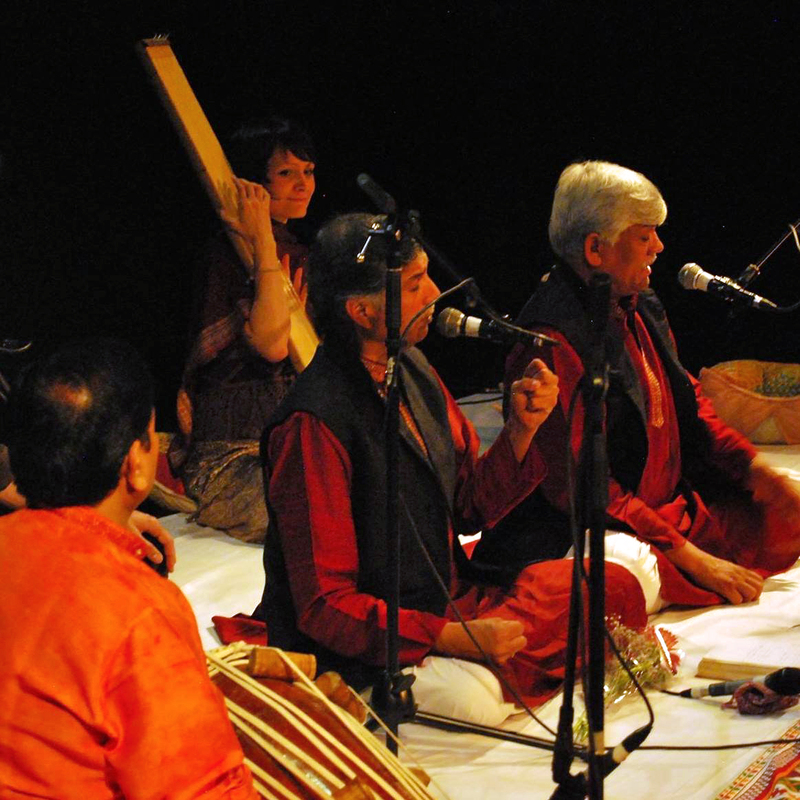 Dhrupad is a rāga based musical genre of classical hindustani music that flourish in medieval India. It has its beginings as a form of viṣṇuite devotional music in the temples of Vraj area and it is said that was an evolution of prabhanda and viṣṇupāda, two forms of poetic and melodic compositions and then develpoped and supported as a court music first in Hindu and later in Mughal courts.